What do the next four years look like for those who voted for Trump, and those who fear him? So, here we are. The race is over and Donald Trump has been elected the 45th president of the United States. WNYC Studios and The Nation take the temperature of the country following the unprecedented election of a consummate political outsider. 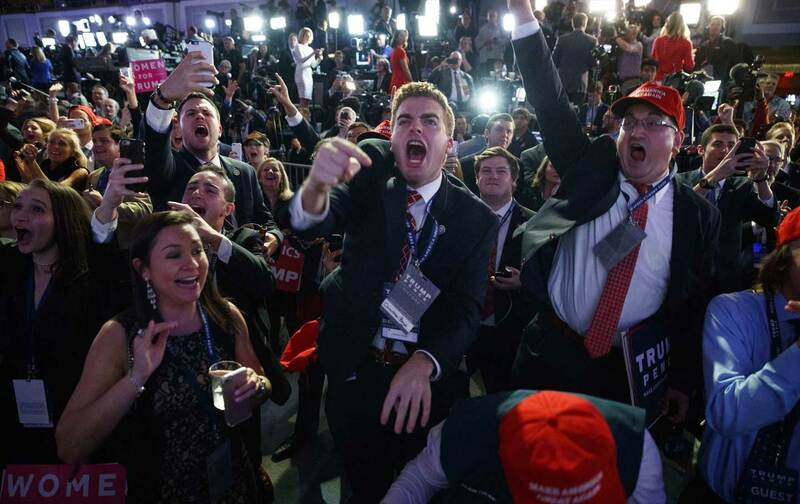 WNYC’s Arun Venugopal checks in with Trump supporter Patty Dwyer and gauges her reaction on a come-from-behind political victory that shook the world. The Nation’s Julianne Hing reports from Arizona, where the defeat of long-standing anti-immigrant Sheriff Joe Arpaio is nonetheless tempered by the elevation of Donald Trump. Plus, Matt Katz and Chris Arnade return to the white working-class voters who propelled Trump to the White House. And Stephen Nessesn returns us to Patchogue to find out how a community that was nearly torn apart by anti-immigrant violence learned to heal and what they’re bracing for in Donald Trump’s America. Listen to more shows from The Nation. Listen to more shows from WNYC Studios.